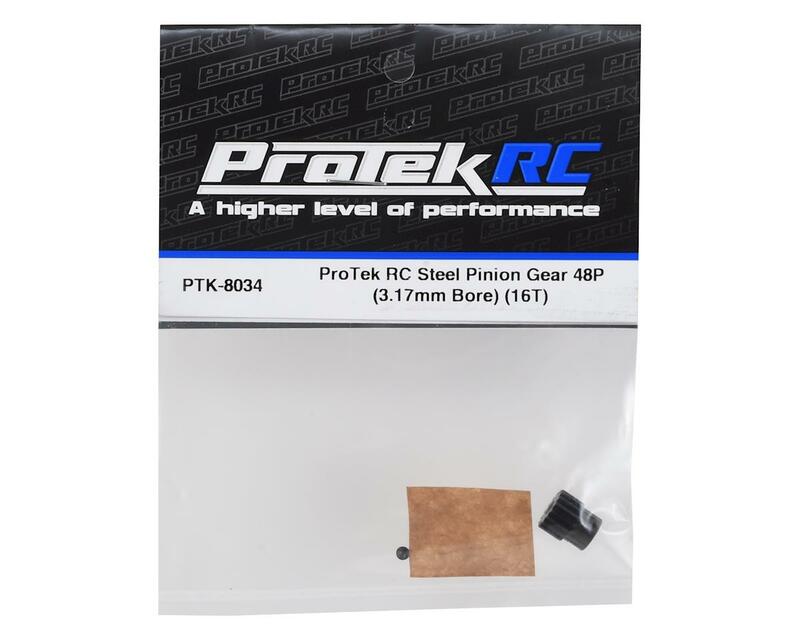 ProTek R/C Lightweight Steel 48P Pinion Gears are an affordable pinion gear option that doesn't skimp on quality. CNC machined from hardened steel material, these precision cut gears are durable and are perfect for any 48 pitch application. Plus, the 18 tooth and larger gears have been machined on the back side to remove as much weight as possible, without sacrificing strength. 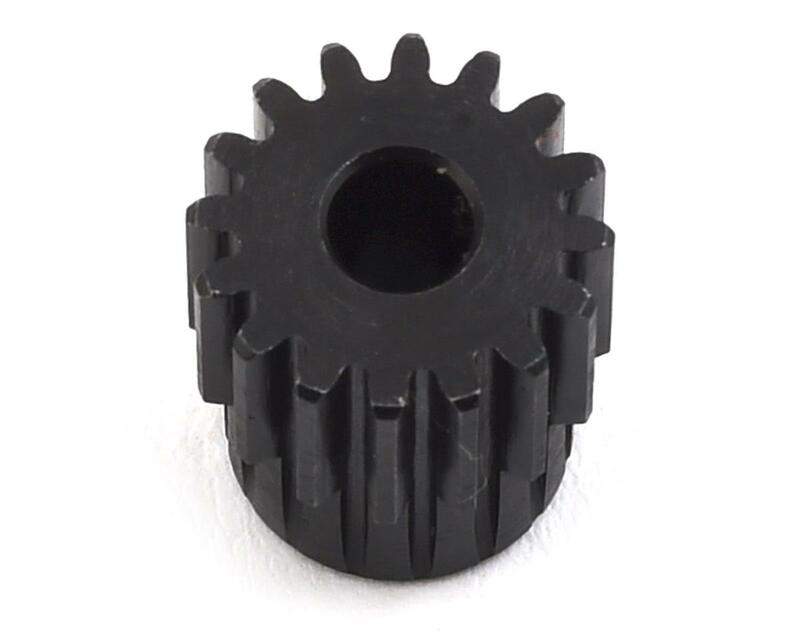 These gears are available in 12 -35 tooth variants, and the tooth count is engraved on the gear for easy identification. 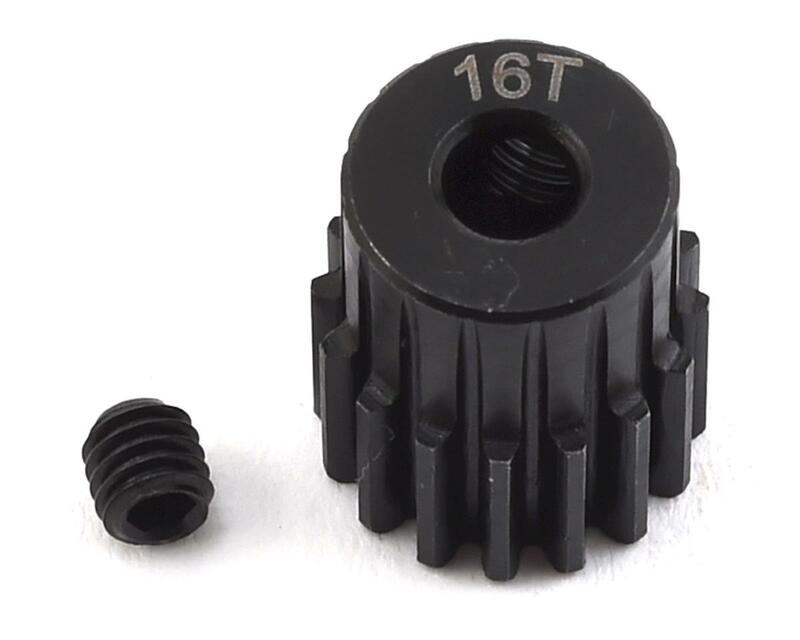 Each gear includes a setscrew to make installation easy. Choose the tooth count you need from the pull down menu above.